The Girl who Lived Twice was published in 2013 by BookBaby. It is available as an ebook from all major online ebook retailers. 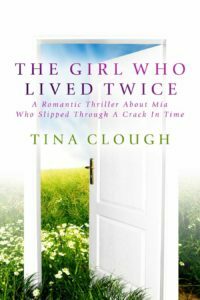 Mia’s life went badly wrong after her husband died in an accident. She discovers betrayals in both her private life and at work and the effect on her self respect hit her hard. One night she experiences a frightening and life-changing event that sees her life rewound to the previous year. Can she manage the challenges and dangers of this new strand of time and change the way her life turns out? Also available via the iBooks app.